A Conversation with Chris McCaw Gallery Director Anne Kelly speaks with McCaw about his process, his practice, and his advice for those just beginning their photographic careers. COSOMS is on view at photo-eye through this Saturday, July 21st, 2018. 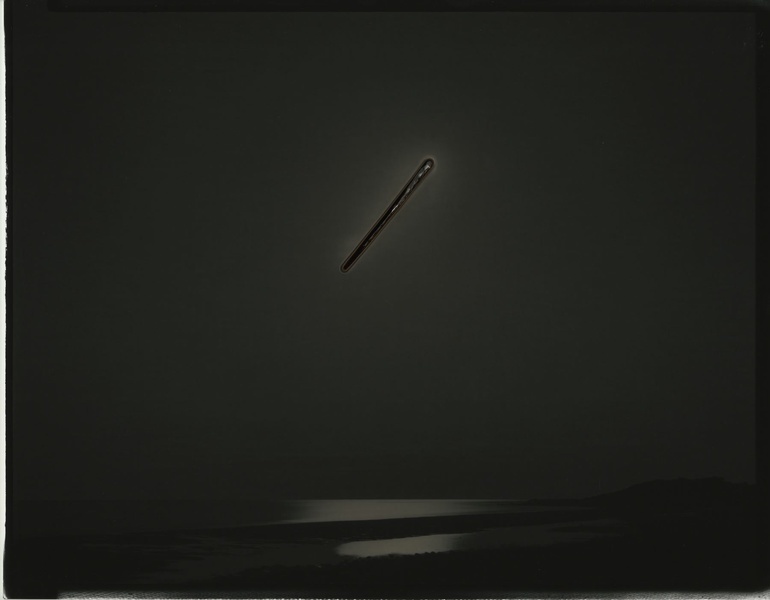 Perhaps photographer Chris McCaw doesn’t need an introduction. His ongoing project, Sunburn, has caught fire in recent years, and McCaw’s exhibited internationally, including shows at the Getty Museum in LA, the Somerset House Trust in London, and we are incredibly pleased to have a number of images included in our COSMOS exhibition. Using giant homemade large format cameras, McCaw exposes antique and obsolete silver gelatin enlarging paper to direct sunlight for up to twenty-four hours. The effect is incredible. Over the duration of the extended exposure, the paper solarizes, forming a positive image where the sun literally burns a hole in its jagged arching wake. These scenes are a dark and primordial expression of time, entropy, and the cyclical process of creation and destruction. Gallery Director Anne Kelly recently spoke with McCaw about his process, his practice, and what advice he has for those just beginning their photographic careers. COSOMS is on view at photo-eye through this Saturday, July 21st, 2018. Chris McCaw on location with a collection of handmade cameras. Anne Kelly: You have been building your own cameras for over a decade now — how has your process of image making and camera building changed over time? 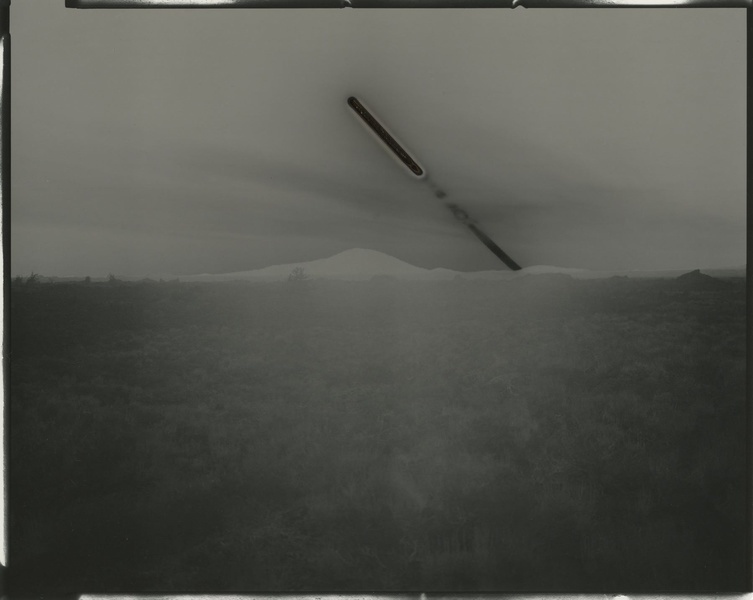 Chris McCaw: I initially started building cameras out of classic "starving artist" poverty. I fell in love with the simplicity of the view camera and the corresponding contact print, but couldn’t afford anything other than a 4x5” press camera. 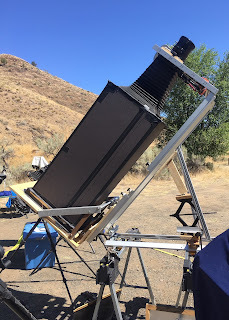 I built my first large format camera, 7x17", in 1995 without the aid of the internet. 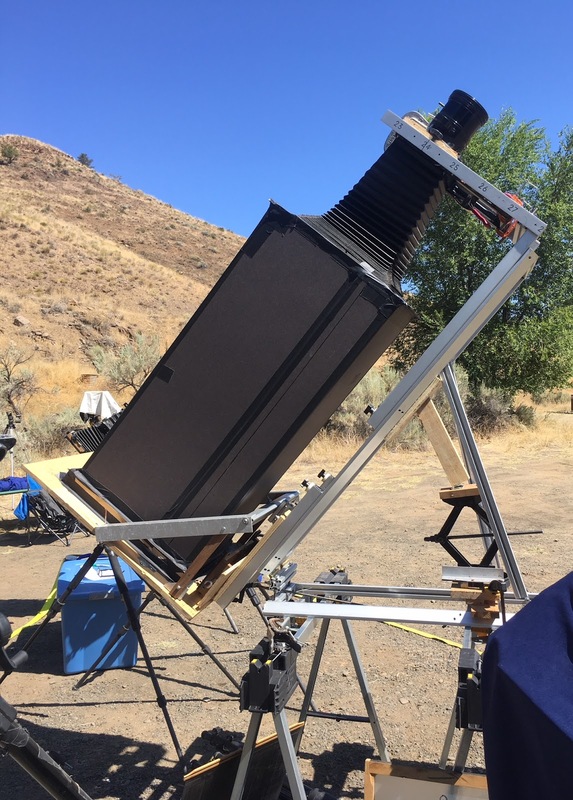 The whole thing cost about $150 – including homemade bellows – and the financial wall blocking access to large format cameras came crashing down. Interestingly enough, the digital photographic process was beginning to picking up speed around the same time and it seemed like everyone was drinking the cool aid. Photography began changing drastically, and not to go too deep, but that change made me want to hold onto the simplicity of light and chemistry. That feeling stays with me. In terms of camera building, my technique basically remains the same. I make rough tools meant to survive in an unkind and unpredictable world; there's nothing really pretty about the cameras. In regards to changes in image making since I first started building cameras – all bets are off. Since the arrival of the digital process, photographic standards have transformed, as have the methods of creation – especially if you choose to use traditional chemical processes as I do. For me, it’s liberating and exciting to re-imagine the photographic medium, and how it's used, in the 21st century. AK: Do you have any interesting stories while out making images? CM: Once, a park ranger tried to shut me down because I had a non-standard camera on a tripod, and that confrontation lead to the creation of a new body of work. Ranger: “You have a permit to film here?" The interaction leads to this mundane circular argument about cameras and "filming" while I try to keep the exposure going. Somewhere along the way, I accidentally double exposed a frame and while it wasn't what I intended to capture the double exposure lead to a new way of thinking and image making. By the way, most artwork made in national parks and celebrated by national parks would now be shut down by national parks policies. Ansel wouldn’t stand a chance. That said, I love all other aspects of the national park system, and I thank them for helping discover a new series of images. liberated as a young photographer; do you have any other words of encouragement for early image makers? CM: In the beginning, you need to try everything. Find work you respond to and attempt to figure out why it speaks to you. Look at work you feel nothing for, those shows that are total head-scratchers, and try to consider the artist’s motivation. Sprinkle some time on all of the above, keep making work, and eventually, you'll have a bit of perspective – even though that will lead to even more questions. Look at lots of books and go see everyone's shows, not just your own. Stay excited and curious. 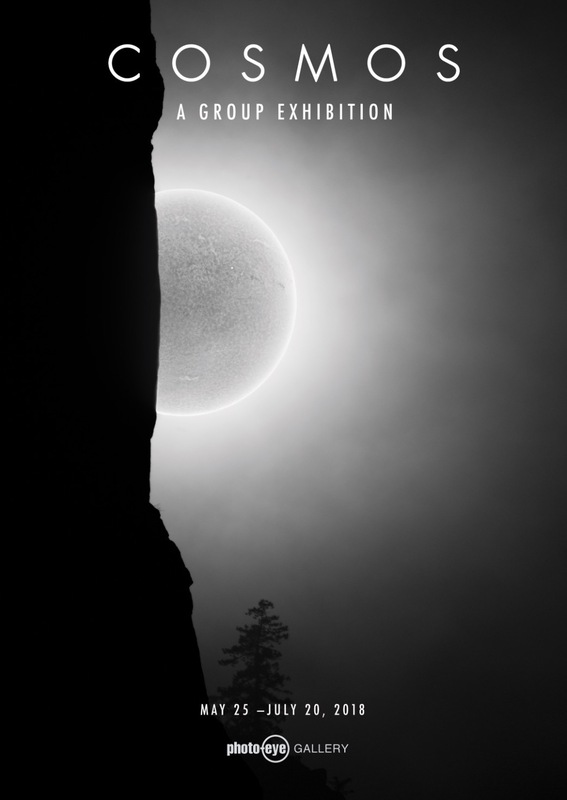 CM: More investigations of the natural cycles that we exist around but maybe don’t notice. And continuing to rethink the machine we call a camera and its possibilities. Original unique silver-gelatin prints by Chris McCaw are currently on view in COSMOS, running through Saturday, July 21, 2018, and always available by request. For additional information, and to purchase prints, please contact Gallery Staff at 505-988-5152 x202 or gallery@photoeye.com.